HARMONY Gold is to write-down R1.7bn in gold reserves and resources when it unveils its full-year results ended June 30, the company said in an announcement today. Including a provision of R917m ($70m) raised for a potential payout to employees and former employees suffering from silicosis, the company expects to post a heavy 50% to 70% decline in share earnings to between 109 and 65 South African cents per share. Stripping out the exceptional items, headline earnings will be between 276 and 320 South African cents per share which equates to an increase year-on-year of between 25% to 45%. In US dollar terms, share earnings are expected to be between five and eight US cents per share – 70% and 50% – lower year-on-year. Harmony described the impairment as having been the result of “… the annual life-of-mine planning process”. 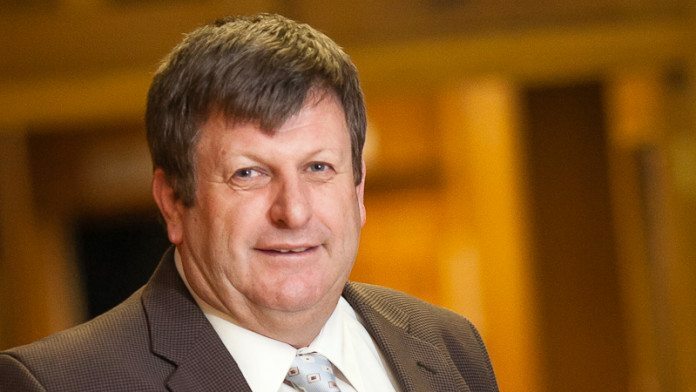 The company’s CEO, Peter Steenkamp, said in August last year that he had decided to chop the remaining life-of-mine at Kusasalethu from 24 to five years through a decision to “high grade” the mine. Harmony said today that in addition to the lower recoverable amount for Kusasalethu following the reduction in its resources, the write down related to the reduction in the life of mine of Target 1 to seven from ten years, and additional capital expenditure related to improving environmental conditions at Tshepong, including the Phakisa operation. Questions will be inevitably posed when Harmony reports its year-end figures – scheduled for August 17 (Thursday) – about Steenkamp’s intention to increase production to about 1.5 million oz/year even after harvesting Kusasalethu as well as production from Masimong and Unisel totaling a combined 220,000 oz. Including the harvesting plan, Steenkamp’s growth plans plotted a 30% to 40% increase in annual output. Harmony is expected to say it has reached last year’s annual guidance of 1.05 million oz, but there will be focus on the group’s marginality once its currency and production hedges are exhausted. Taken out in June last year under the guidance of gold mining industry veteran, Frank Abbott, Harmony’s CFO, the hedges were calculated in a note earlier this year by Deutsche Bank as worth R7/share. Its analyst, Patrick Mann, said in a note in May that Harmony had some R1.8bn undiscounted value in its rand gold forward contracts – equal to 216,000 oz/year – whilst the currency hedge is worth R800m and locks in an average floor of R15,29 to the dollar covering $440m until the end of the 2017 calendar year. I am looking forward to the results of this gold miner on Thursday , 17th August 2017. Afford me 2-3 hrs thereafter for a full write-up analysis of my take on them ( see my previous comments). Frankly, i will be highlighting operational and strategic shortcomings as a consequence of a “tenured & ill-suited board overseeing at best average an management team”!